On Friday, May 11, Boston Get Your Rear in Gear 5K co-chairs Brian Shelly and Caitlin Gambee had the honor of announcing a new partnership with the Massachusetts League of Community Health Centers creating the Colon Cancer Screening & Education Program (CCSEP). 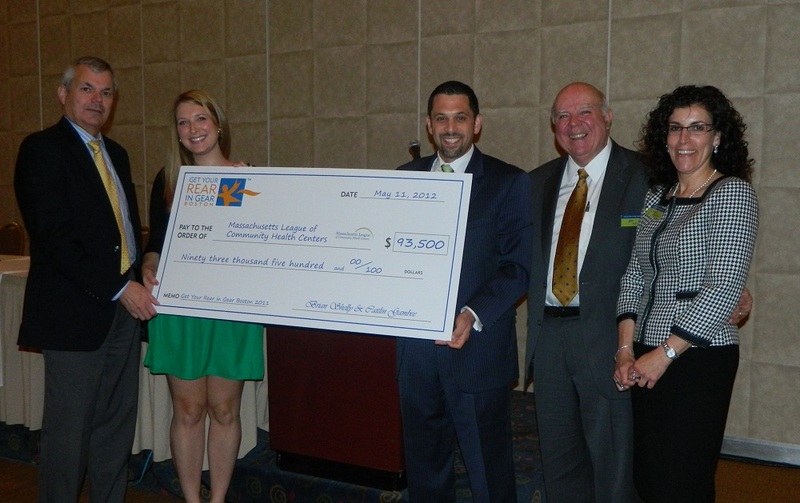 The $93,500 check presented to the League will fund a first-of-its-kind program for the League, addressing needs related to colon cancer screenings and treatment not covered by insurance for those affected by this disease in Massachusetts. The Massachusetts League of Community Health Centers is a non-profit, statewide association representing and serving the needs of the state’s 50 community health center organizations, which provide primary and preventive care to some 800,000 Massachusetts residents. The CCSEP represents the first-ever League funding initiative where health center patients receive direct assistance covering expenses related to colon cancer screening and treatment which are not reimbursable through health insurance. Cost of ancillary services needed to support patient through colon cancer treatment, including day care , meal, home care, and medication expenses. Runners start the 2011 Get Your Rear in Gear Boston race. The inaugural event raised over $93,000 to create the Colon Cancer Screening and Education Program through the Massachusetts League of Community Health Centers. All funds for this program were raised from the inaugural Boston Get Your Rear in Gear 5K in November 2011. 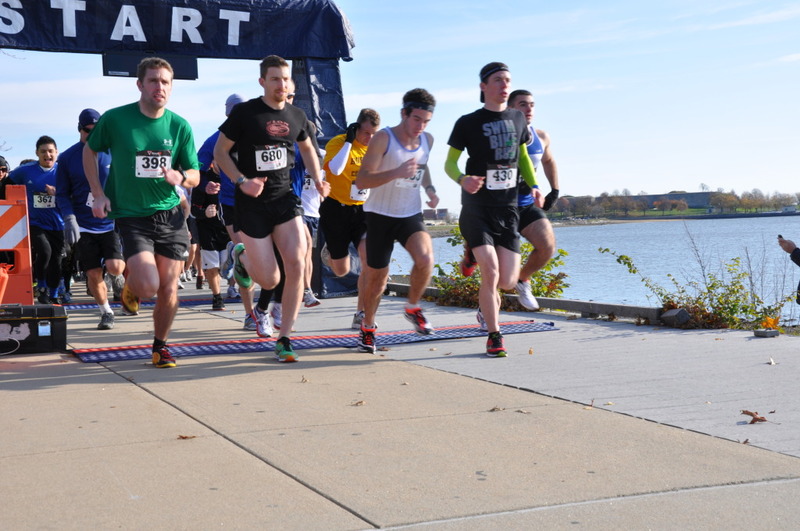 The 2012 race is set for October 13, 2012 at Castle Island in South Boston.